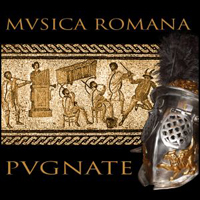 Sounds of the arena - the music of the gladiators Was there music in the ancient Roman arena? What instruments accompanied the fights of the gladiators? Are there any surviving notes from that time? Did the Romans actually have organs? The new album "Pugnate" (latin. Fight!) 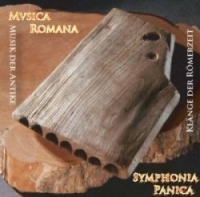 of the internationally well-known ensemble Musica Romana deals thematically with the music of the ancient games. A sensation is the use of an reconstructed ancient water-organ (old greek. hydraulis) after an archaeological found from Hungary. The ensemble is the world's first, which means that after 2,000 years, played in an arena and accompanied reenacted gladiator fights. Along with old brass-instruments the water organ formed the basis for the musical accompaniment of the Roman games. The album takes the listener on a journey. The CD begins with a procession (latin. pompa) through the streets of Rome, and ends with an antique banquet. The songs include Original pieces from that era, whose notations and texts which have survived time. You will also listen to reconstructions of harps, lutes, lyres, reed-instruments, drums, percussion and brass-instruments. Around 53 Min. Playing-time and a booklet of 28 pages incl. special packaging! 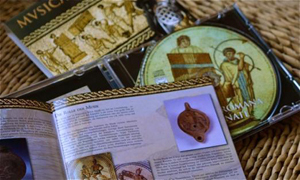 This CD deals with archeological finds of ancient musical instruments. The focus lies on Roman pan flutes, several of which have been preserved. These flutes have been reconstructed, and two of them can be heard on the CD: one found in Titz-Ameln, Germany, and one from Eschenz, Switzerland. On their way into our time, the flutes are accompanied by reconstructed lute, harp, reed instruments and percussion instruments. The tracks are partly original notations from that time, as there had indeed been systems of musical notes in Antiquitiy. The other pieces were delicately composed with respect to the spectrum of aounds of these instruments. 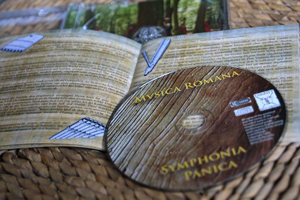 The CD was made in cooperation with Kantonsarchäologie Thurgau, Switzerland.